While many of you have been following The Art of Manliness since we started back in 2008, some of you are of course new readers. To help you new arrivals get the most out of AoM and navigate around our extensive archives, we’ve compiled this beginner’s guide. First a note: There’s a TON of stuff here. We don’t recommend that you go through it all in one sitting. It will probably take you days to go through everything on AoM. Bookmark this page and come back to it from time to time to do some more exploring. 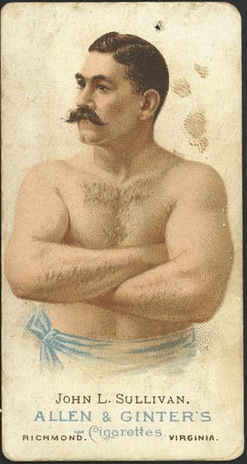 Why The Art of Manliness? 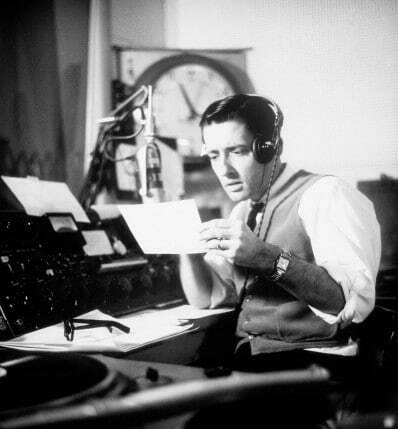 We’re often asked why we started a site called The Art of Manliness. We answer that question on our About page and also go into a little bit about the philosophy of the site. This post adds some details on the story behind how and why AoM started as well. And make sure to check out our FAQ. It might answer some of the questions you have about the site. We’ve written almost 3,000 articles here at AoM about a wide variety of topics. I highly recommend surfing through our archives to see what we have to offer. There are lots of gems. You’ll find a search bar in the upper right corner of the site if you’d like to search for a specific topic. We post new podcasts twice a week in which Brett interviews a well-known author, thinker, entertainer, etc. We cover a wide range of topics including survival, psychology, masculinity, and more. Our episodes are quite digestible — just 30-60 minutes — and are available on most major podcast providers: SoundCloud, Stitcher, iTunes, or any other player of your choice. We have over 70,000 subscribers, and are in the iTunes Top 100 for podcasts. Give us a listen! We’ve had a YouTube channel for quite a while, but in 2013 we really worked on adding valuable content. We did that for a couple years and have since taken a break on publishing new videos in order to focus on the podcast. Benjamin Franklin Virtue Series. In this series we analyzed one of Benjamin Franklin’s 13 virtues each week and offered suggestions on how men can live those virtues on a daily basis. 30 Days to a Better Man. 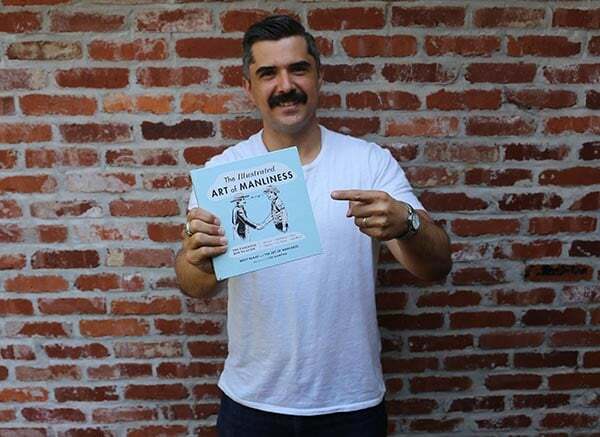 In June 2009, we ran a series called “30 Days to a Better Man.” Each day we created a task for Art of Manliness readers to complete that would help them improve in different facets of their lives such as relationships, fitness and health, career, and personal finances. Building Your Resiliency. Do you have trouble bouncing back from challenges and discouragement? In this comprehensive, seven-part series, we explore the nature of resiliency and offer practical tips on how you can approach life with more confidence. The Switches of Manliness. Many men today feel lost, adrift, and unmanly. They suffer from the modern male malaise. The cure for this malaise are the five switches of manliness. The five switches of manliness are the power switches that are connected to our primal man and are deeply ingrained and embedded in the male psyche. 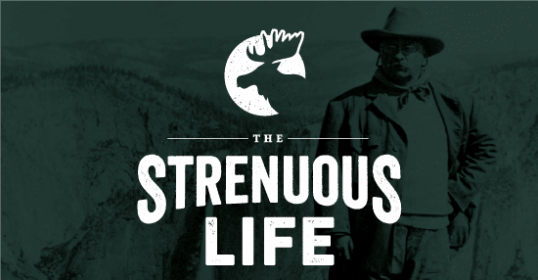 This series draws on evolutionary psychology and biology to find ways in which men can move from feeling restless, angry, and apathetic, to invigorated, motivated, and manly. Manly Honor. Across cultures and time, honor and manliness have been inextricably tied together. In many cases, they were synonymous. Honor lost was manhood lost. Because honor was such a central aspect of a man’s masculine identity, men would go to great lengths to win honor and prevent its loss. What is honor, though? Take a look at this series to find out. The Life of Jack London. Jack London was the embodiment of an ancient Greek concept known as thumos. Looking at his life as a case study for this concept, we wrote an 11-part series on London’s life and work. 3 P’s of Manhood. This series is an anthropological look at manhood and masculinity. Based in part on David Gilmore’s work, Manhood in the Making, we started with exploring the 3 P’s of Manhood: Protect, Procreate, and Provide. We then delved into the origins of masculinity, as well as manhood’s place in today’s modern world. The Winston Churchill School of Adulthood. When it comes to achieving one of the most interesting, eventful, and outright original adulthoods in history, Winston Churchill surely has no rival. He was a writer, a politician, an orator, a family man, a painter, a lifelong adventurer, and much, much more. This series explores how he came to be so accomplished, and gives lessons for us all in achieving a spectacular adulthood. Leashing the Black Dog: Male Depression. Depression isn’t something a lot of men like to talk about because in the modern West it is seen as a weakness, and a man isn’t supposed to be weak. What’s more, men are generally less apt to talk about how they’re feeling than women are. We’re more action-oriented and externally-driven, and pay less attention to what’s going on within. And so a lot of men silently suffer. This series tackles depression head on, addressing its cultural history, some benefits of melancholy (there are some, believe it or not), and research-backed tips on handling it. Male Status. In America, status is something that we’re all acutely aware of privately, but like good democratic, egalitarians, we publicly pretend like it doesn’t exist or isn’t that important. Yet there’s no escaping status, especially for men. This series provides men, teachers, parents, coaches, and mentors a set of tools they can use to help harness the male drive for status in a positive and healthy way that benefits both the man and the community in which he lives. Muscular Christianity. Attend a Christian church service anywhere in the world this Sunday and take a look around at who’s sitting in the seats. What will you see? Almost certainly, more women than men. Women with husbands and families, but also married women attending without their husbands, widowed women, and single women, both young and old. You likely won’t see any husbands who are attending without their wives, or very many single guys. This series explores why that might be the case. Over the past six years we’ve compiled lists of books and movies that we think men would enjoy. Check them out! 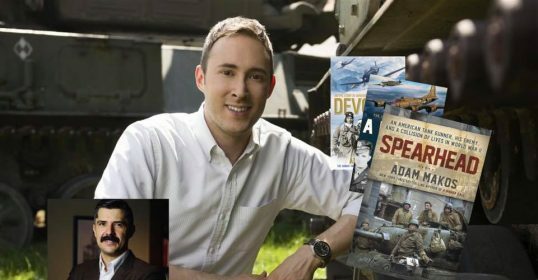 Ever since starting the Art of Manliness in 2008, I’ve wanted to create something that would help readers take our content offline. I never wanted readers just to consume our content, but to put it to use in their lives — to take real action on it. I wanted men to become not just readers, but doers; not just spectators but actors. In 2017, we launched a program and platform for doing just that. 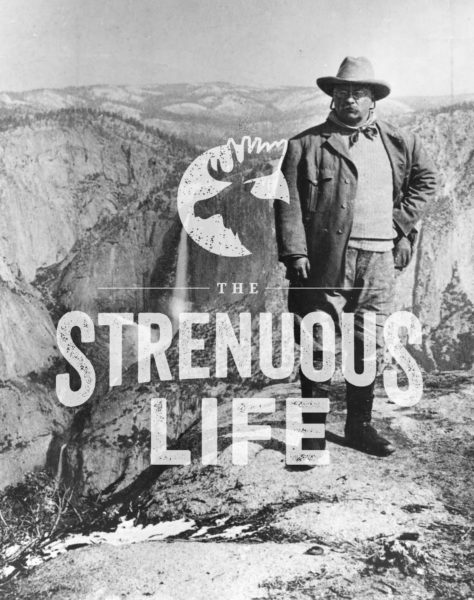 You can find out everything you need to know about The Strenuous Life and join up here. That page gives you a good rundown of what to expect when you sign up for the program. 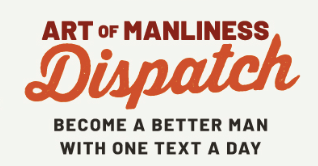 Did you know that you can get Art of Manliness articles delivered directly to your email inbox? Make the AoM experience easier for you by signing up for our email updates. Over 200,000 people get AoM articles emailed to them. Simply sign-up here. You can choose to have our articles delivered individually each day, or delivered once a week in a digest. And just to let you know, we hate spam just as much as you do. We’ll never give out your email address to third-parties. You can also easily unsubscribe yourself any time you’d like. If email updates aren’t your thing, we also provide RSS subscription. Click here to add Art of Manliness to your feed reader. There’s a lot of manly knowledge to go around, and we aren’t the only ones dispensing it. Our readers have troves of man knowledge to share — be it a motivational quote, a useful tidbit about toolmanship, or just a quip about being a man. We wanted a way for our readers to share those bits of knowledge, so we created the Library of Random Man Knowledge. Each click brings a fresh bit of manly wisdom! 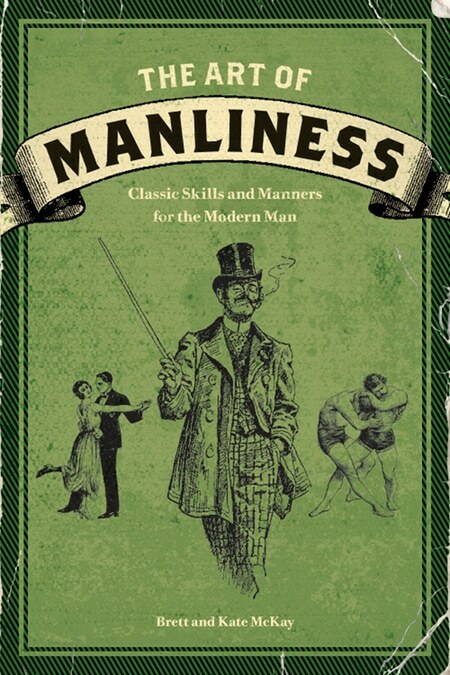 Published in October 2009, The Art of Manliness: Classic Skills and Manners for the Modern Man includes some of the best of our early articles from the site, along with material exclusive to the book as well. The book focuses mainly on the skill-sets of manliness, the “how-to’s” of romance, friendship, and fatherhood, spending time outdoors, being a hero, and living a virtuous life. 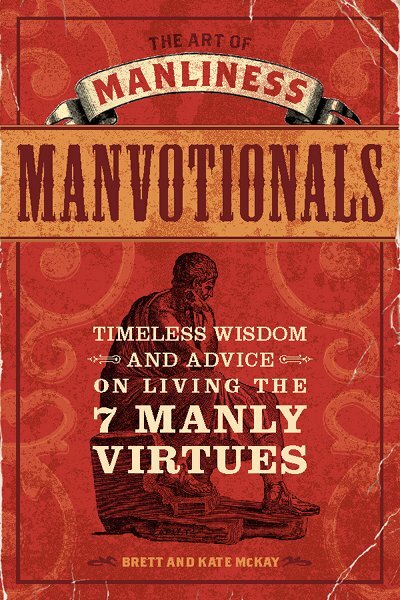 Published in November 2011, The Art of Manliness Manvotionals: Timeless Wisdom and Advice on Living the 7 Manly Virtues covers the mindset of manliness. 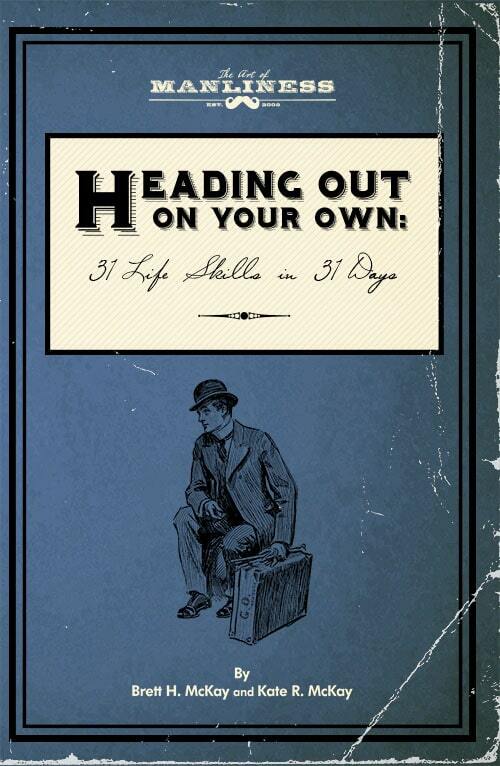 The book is a collection of the best advice ever written down for men. From the philosophy of Aristotle to the success books of the late 19th and early 20th centuries to the speeches and essays of leaders like Theodore Roosevelt and Winston Churchill, Manvotionals contains the manly wisdom of the ages–a myriad of poems, quotes, and essays designed to inspire men to live life to the fullest and realize their complete potential as men. Originally a 31-day series on the blog, we turned HOOYO into a full-fledged book in early 2014. The goal of Heading Out On Your Own is simple: to help young men heading out on their own for the first time learn some of the very basic life skills they need to master to succeed at living independently. While we couldn’t possibly include every single life skill a young person needs to have under his belt, this book covers all of the most important essentials. And after reading dozens of “life skills” books on the market during the research and writing of the original series, I can confidently say that HOOYO is by far the most thorough, comprehensive, and imminently readable one to ever have been published. When life tests a man’s mettle, he needs the wisdom to know the right thing to do, the courage to start it, the skill to complete it, and the style to look sharp along the way. The Illustrated Art of Manliness is your go-to guide for all of the above. It distills more than 100 practical skills every modern man should know into an entertaining, easy-to-follow visual format. We’ve taken some of the most popular illustrated guides we’ve published on the site and combined them with many never-before-seen ones to create a handsome hardcover book — over 60% of the content is brand-spanking new! 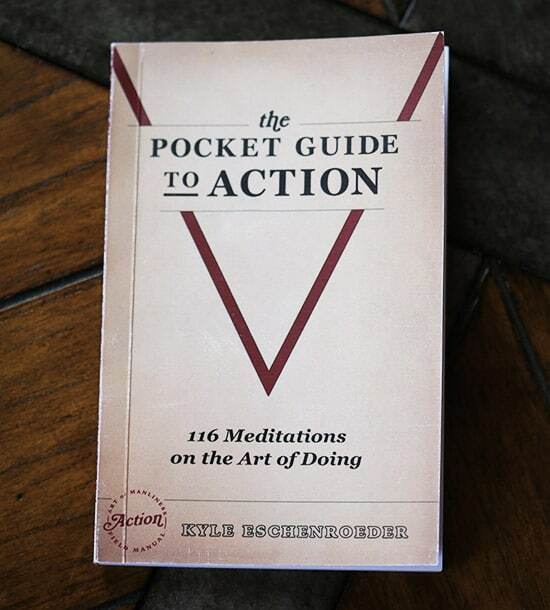 The Pocket Guide to Action: 116 Meditations on the Art of Doing by Kyle Eschenroeder lays out over a hundred short, punchy devotionals on the nature and importance of action. This pithy paperback book is small enough fit in your back pocket, but crammed with insightful advice on how to take more action in life so you can become the man you want to be. The design and layout of the book was inspired by vintage military field manuals. We hope the design reinforces the forceful, action-oriented advice contained within its pages. If you spend a lot of time thinking about things, making plans, and examining possibilities, but rarely pull the trigger on any of them, this is the book for you. Carry it around with you and turn to any page at any time to get a kick in the rear when you need it. 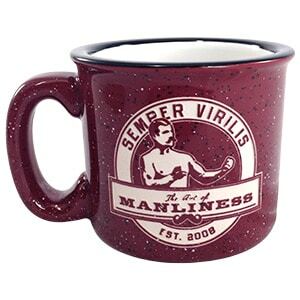 We have a growing number of products featured in our AoM store if you need some manly swag. 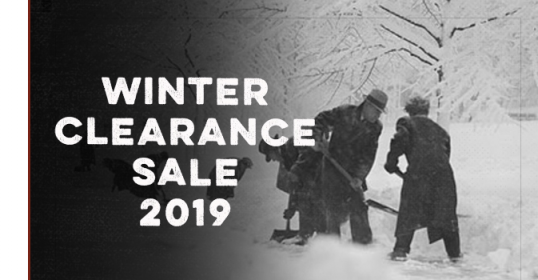 We have multiple options for shirts, posters, and stationery; we have a line of our own old-school shaving supplies like straight razors and safety razors; we also have an awesome AoM pocket knife, two hearty mugs to choose from, a leather detective’s wallet, a great set of pocket notebooks, and much more. Check out all of our offerings.